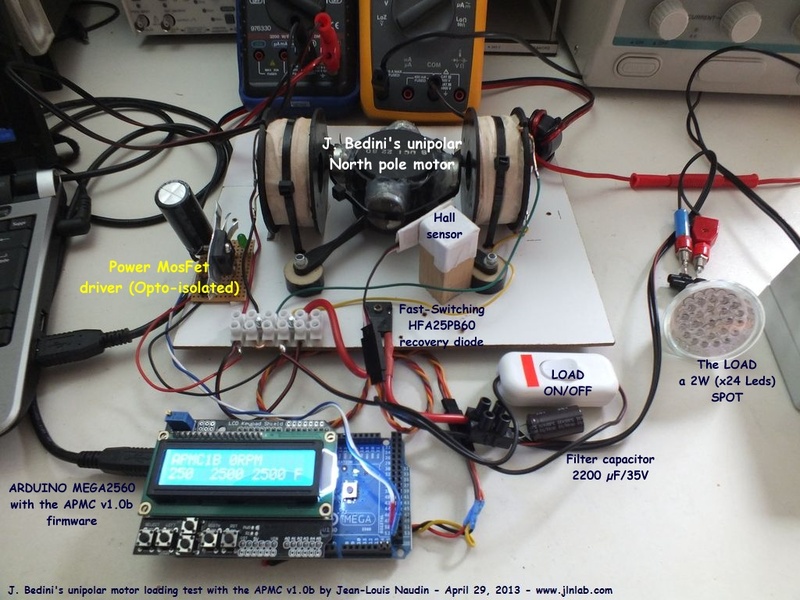 April 29, 2013 - DLE-TEST25 : Here is a test of the unipolar (North pole) motor invented by John Bedini and piloted by the APMC (Arduino Pulsed Motor Controller) v1.0b. 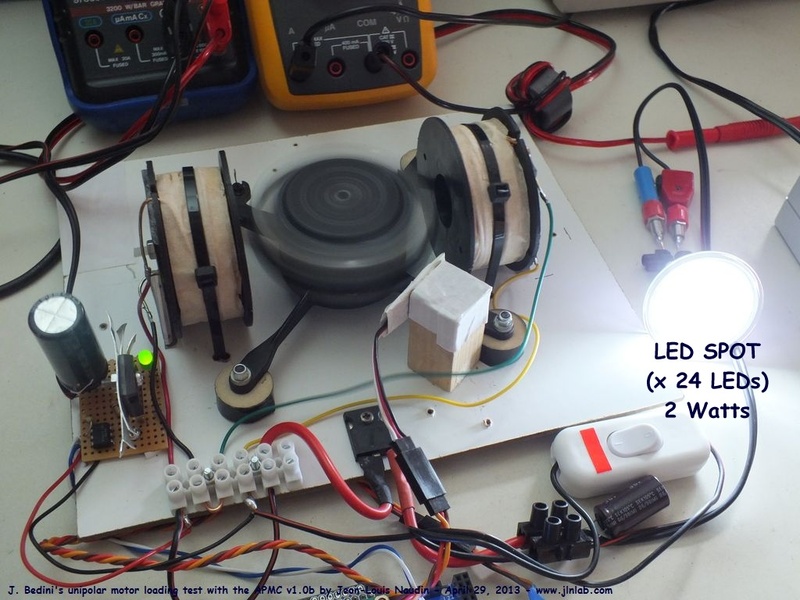 A LED Spot of 24 Leds (1.6W/12V) is only powered by the Back EMF pulses from the motor coil. 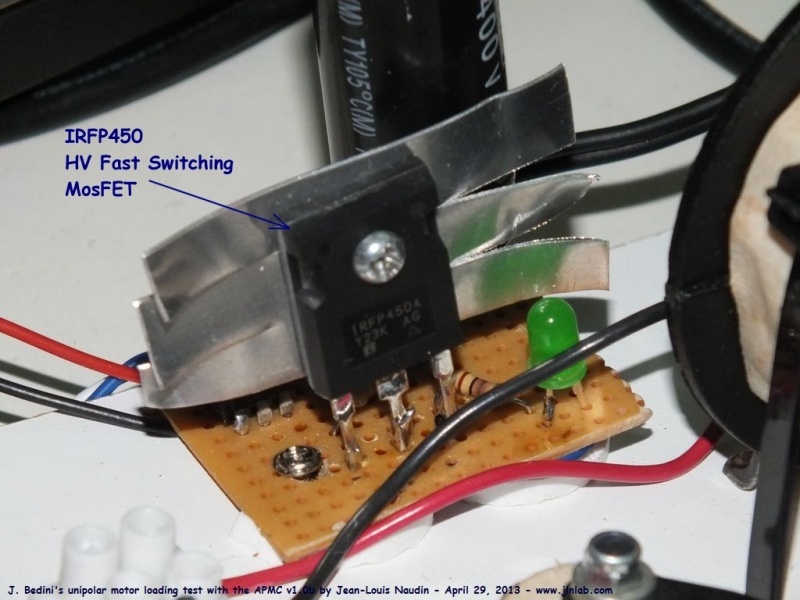 A PC computer is connected via the USB port of the Arduino Mega 2560 board, the telemetry datas (time base, RPM, pulses delay and pulses duration, user datas and computed datas...) are displayed on the computer and also on the LCD screen of the APMC. 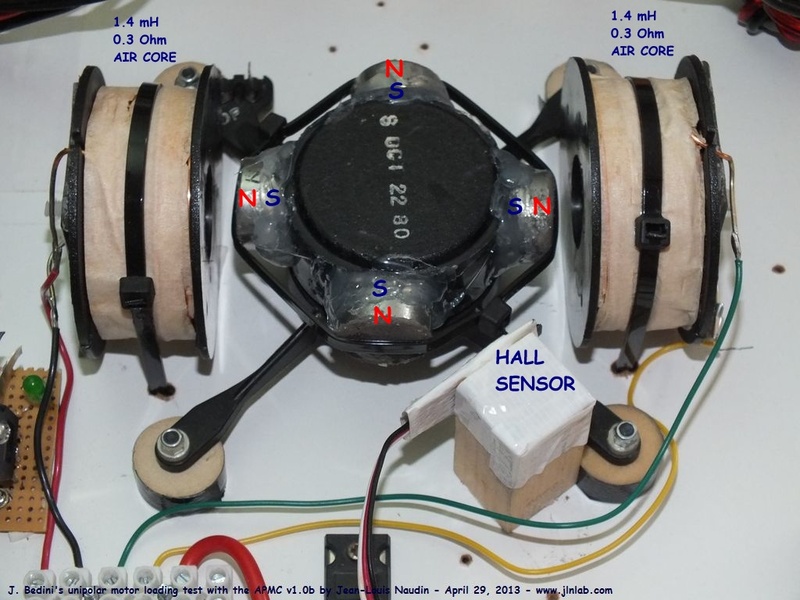 When the motor is loaded the input power drops dramatically and the RPM speed is doubled. 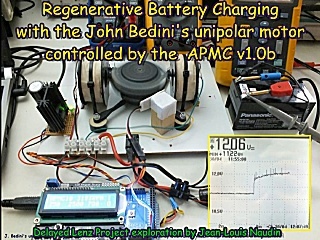 Below a detailled photo of the Bedini's unipolar motor. 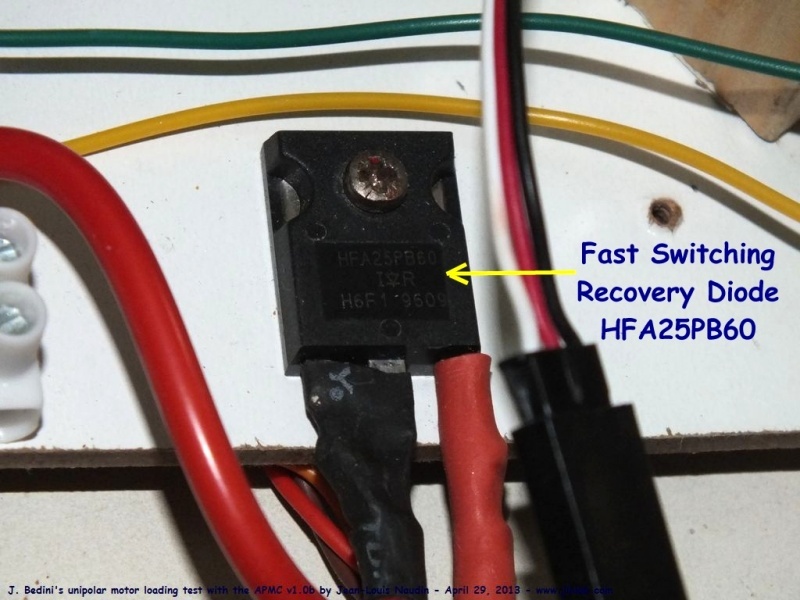 A High Power and High Voltage fast-switching IRFP450 MosFet transistor MosFet rapide (Haute Tension) controlling the motor is coupled to the Arduino Mega2560 micro-controller via a 4n25 optocoupler. 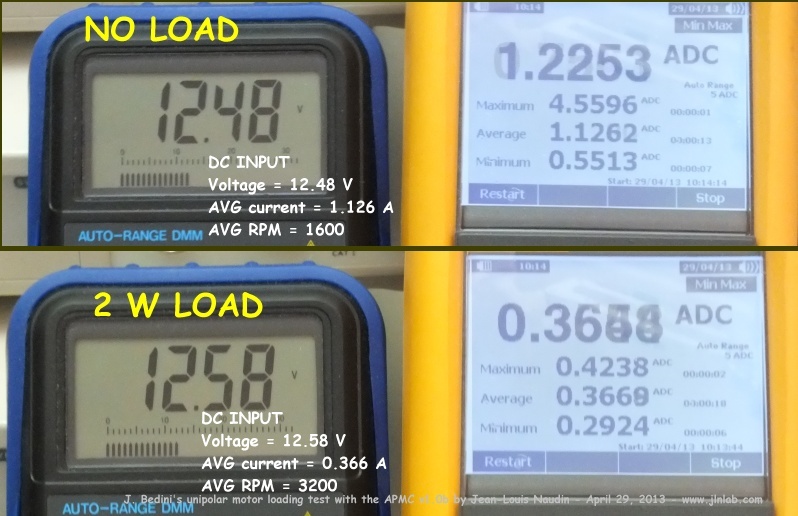 When the LOAD IS CONNECTED the RPM speed is DOUBLED and the INPUT POWER DROPS dramatically.